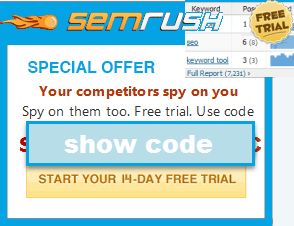 I just found this great offer for search advertisers. Well worth a look if you are trying to get traffic to your website. Here is a free $200 Microsoft Ad Center promotional code. Update: It looks like Microsoft no longer offer the $100 or $200 coupons. I did find another great Bing Ads (formerly Microsoft adCenter) offer that still works though. Bing and Yahoo! Search expand the reach of your business to millions of monthly users. Are you from the United States? Use this $50 coupon. Are you from Canada? Use this $50 coupon. Are you from the UK? Use this £50 vouchers. Are you from Germany? Use this €50 coupon. Are you from France? Use this €50 coupon. Are you from Italy? Use this €50 coupon. Are you from Spain? Use this €50 coupon. Are you from Australia? Use this $40 coupon. Are you from New Zealand? Use this $40 coupon. Are you from India? Use this ₨1000 coupon. Are you from Brazil? Use this R$60 coupon. Considering that Microsoft's ads are cheaper (because the ad network is newer than AdWords) and their traffic is so clean (they cut out on the dirty syndication partner stuff that Yahoo! once allowed) a free $50 coupon is just like setting up a printing machine for money. I hope they keep building marketshare because they have such high conversion rates and are offering some awesome tools for advertisers. I just tried this coupon. It does not work anymore. I got this: This particular promotional code has already been redeemed. Thanks for the heads up. We'll see how it works out. It's showing zero balance so far after signing up. Game me some strange JS popuperror for some domain like contentmedianetwork.com (don't remember exact domain) when I hit the final submit. It then said the account was created and let me through. Thanks for Code and Link Aaron!! Thanks for the great find! Signed up and will see how it goes. Thanks for the promo code. Signing up with AdCenter was on my to-do list. Thanks for saving me $200! catch is...code only applies to US sites. i tried a .ie (ireland) with an ireland land address. no joy. Hey Aaron, you are the man for posting this. Appreciate it bud. I agree with Sarah. It's a shame that the Europeans still cannot benefit from AdCenter Coupons. 200 Dollar would have been a nice start. Thanks for the info Aaron, too bad we the people outside U.S. can`t use the promo, Microsoft AdCenter should of thought of people abroad. Sounds pretty good!When will such offers be launced in UK? "Game me some strange JS popuperror for some domain like contentmedianetwork.com (don't remember exact domain) when I hit the final submit. It then said the account was created and let me through." I got the same thing...what's up with that? Are you guys seeing your credit in your acocunt yet? I see the credit. However, I tried signing up using Mozilla Firefox browser and it messed up the screen. I had to open IE to sign up ... bad, Microsoft, bad ! I had the same problem with the promo code not working and they even had emailed me a flyer with this coupon. No I am not seeing the credit. I think it's because of the error using Firefox. I'll submit a support ticket. The catch is not only the addy link by where you're located. Regardless of whether you are hosted in the US and with a .com, if your Ccard is from Canada no dice. BOO. ah well. Thanks for the information, that is quite a find! Thanks Aaron, but this stuff works only for US residents. I havent seen u around in many webby forums.. I have cut back on the forum front in the last year or so. Thanks for the promotion code Aaron, it comes to me just at the right time. Thanks for this posting, a wonderful early christmas gift! Well I saw the same offer reduced to $100 for the Adcenter on yahoo. Neither work for my credit card. BTW also the sign in page of COURSE have to be navigated in Internet Explorer. 2) Again... usability? Make it easy to your customers??? Ahhhhhhhh....i wish you would have waited for a year or so..::sigh::..
p.s.If i need to ask u a question, can i post it as a blog comment ? Great promo, I'll be using it for multiple websites. I was trying to use the adCenter code to promote my free work at home products at oureffort.com website but, none of the codes are working. I would greatly appreciate if any of you can post the code that works with adCenter. I have found out that most of the promo code posted above are expired so bellow are new ones which will expire after 6/30/2008. The code will only work for residents in the 50 United States and Washington, D.C.
...though I am not sure if they also require a credit card for account authentication.